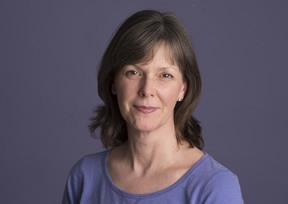 Catherine Fray - Holistic Massage Therapist based in Portishead. I am a MTI qualified practitioner, and therefore belong to an elite group of practitioners recognised for their unparalleled skills and professionalism. My qualification is considered to be the gold standard for holistic massage training, and is recognised by the Complementary & Natural Healthcare Council (CNHC). All treatments are individually tailor made to suit you. I am passionate about massage because I believe that touch is fundamental to our existence. Massage, if perceived as caring, gentle and kind, can encourage the feeling of being safe, secure and accepted. It can also help us in our daily lives with the reduction of stress, increased movement and facilitation of healing in the body. I believe a holistic approach to our everyday lifestyle challenges is essential. I love what I do because it ticks all my personal boxes, the main one being an absolute desire to help all my clients in any way I can. The Massage Training Institute is my Governing Body and can help, advise, support and offers further training opportunities. They are one of the only Institutions who has stayed pure to the massage industry. They promote their qualified massage therapists as working with sensitivity, creativity and integrity. Bristol College of Massage and Bodywork. Based in Bristol, the College gives me monthly supervision sessions, mentor support, and continuing professional development which means that I can choose to attend a huge variety of courses increasing my knowledge and methods. Balens Specialist Insurance is here to protect both you and me. Holistic massage differs from other types of massage as it takes a whole-istic approach to your physical, mental, emotional and spiritual well-being. Your massage will include a range of different touch techniques, which can vary from deeper tissue release to others which are deeply relaxing. This will produce a sense of connectedness. You will feel that the massage is working 'with you', rather than having it done 'to you'. 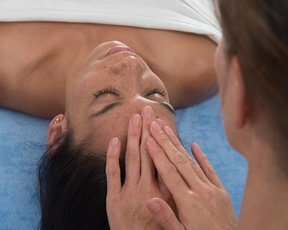 Holistic massage notices the sensitivities, stresses and strains that your body undergoes on a daily basis through a two-way verbal and touch conversation. Aftercare is offered in order to keep you focused on the treatment you have received and exercises can help to continue the healing in your body. For high-days and holidays, for celebrations and anniversaries, give someone you hold dear a gift they will never forget! Are you a little worried about having a massage? Don't be, this is what happens. We make a plan together for the massage. Falling asleep? No problem, I will stick to the plan! If I do something you don't like, just say and I will stop immediately. Do you have any questions? Please ask. I'll close the curtains, fold back the drapes, and leave you to get undressed. Drapes are sheets used to cover the areas that I am not currently massaging. Cushions and bolsters are provided for your comfort. hypoallergenic, for sensitive skin and is not scented. and a tailor made massage. It couldn't get any better! I'll check in with you occasionally about the depth of pressure. At the end of the massage I will wake you up, if needs be. Leave you to get dressed while I go to wash my hands, and get you a glass of water. Why not contact me to arrange your initial consultation? 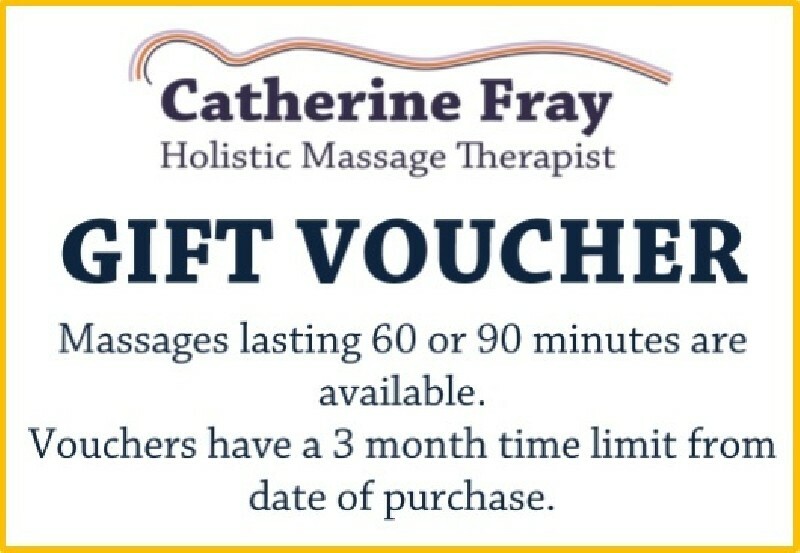 Copyright ©1998-2019 Catherine Fray Holistic Massage Therapist - All rights reserved.